This list covers some of the things I wish I’d known when I first started growing cannabis indoors. It’s possible that some of the items might not apply to you, but I’m sure every indoor grower ends up learning at least some of these lessons. One of my biggest regrets about growing is that I didn’t start sooner. It’s easy to get lost with endless research about growing cannabis. Which method is the best? Which grow light for your space? Which method gets the most yields? The truth is, the best way to learn about growing cannabis is to just jump right in. Sometimes people (who want to grow) get stuck in the research phase of growing. They spend so much time researching that they get paralyzed by choice and never actually start growing, for months or even years. No research can 100% prepare you for the actual process of growing. Even experienced growers get unexpected problems. Each grow will teach you more so that you get better and better results, so you might as well start now. Every grower will run into a growing problem some time or another. 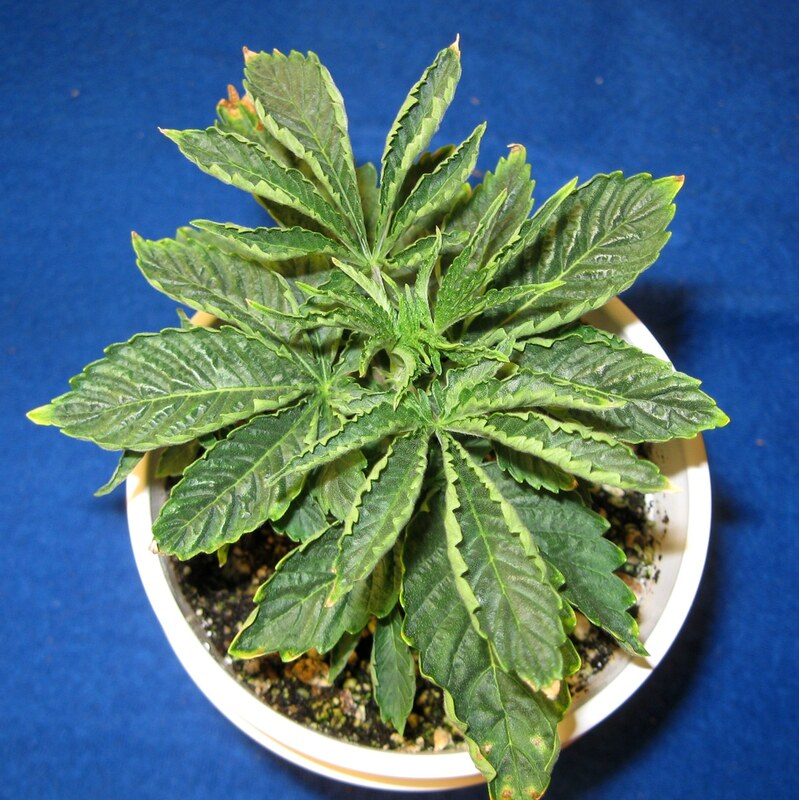 It can be tempting to stop documenting your grow because your plants don’t look as good as they used to. Don’t stop! 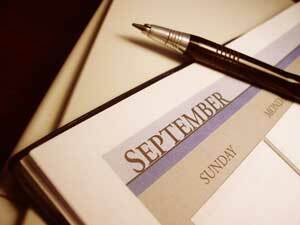 The most important time to document is when you’re having problems. It has helped me so much to be able to go back and refer to old pictures and notes. It’s impossible to keep everything in your head, especially after several grows, and you will thank yourself later that you kept track of problems instead of tried to pretend they didn’t happen. A cannabis grow usually takes around 3-5 months from seed to harvest. After that, you need to account for 3+ weeks to dry and cure buds if you want to enjoy your buds at “full strength” (some growers cure their buds for even longer). It’s common to see growers start a grow without thinking about how long it will take to harvest. They’ll end up with an upcoming vacation or some other event that takes them away from their garden. It’s important when starting a new grow to consider whether you’ll be able to be there for your whole plant’s life. Auto-flowering strains will give you the quickest harvest with some strains being ready to harvest as soon as 10 weeks from germination. I personally believe auto-flowering strains can be a good choice for beginners. If you don’t have at least 3 months to care for your plants, don’t start growing just yet. Learn more about the cannabis growing timeline. 4.) Know Your Grow Lights! Other types of grow lights like plasma and induction are not recommended. “Induction grow lights” are basically glorified fluorescent lights. They’re weirdly expensive, but at least they work. “Plasma grow lights” are also expensive and they don’t even really work that great for growing cannabis. Stick to the main options for the best results. I know it seems old-fashioned, but I believe many new growers would be happy with a small MH/HPS grow light when first starting growing cannabis indoors. These HID (High Intensity Discharge) grow lights have a reputation for being hot and needing lots of electricity, but most people don’t realize they come in all sizes, even as small as a 150W. A 150W HPS grow light (pictured here) uses the same amount of electricity as my 40″ TV and doesn’t produce a whole lot of heat. Keep it 10″ away from your plants and let them grow. It easily yields 3 ounces even on a questionable first grow. LEC grow lights are technically a type of HID grow light just like MH/HPS, but LECs are sold in different fixtures and sizes. 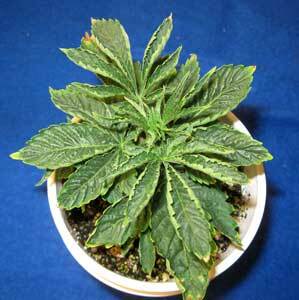 A 315 LEC grow light uses about 315W and should be kept about 18″ from the tops of your plants. A typical yield is 5-10 ounces, but they can produce a pound or more, depending on the grower. LECs offer outstanding growth in the vegetative stage. They also produce more UV light than other grow lights, which can possibly increase trichome production and give you more sparkling buds in the flowering stage. Unlike the yellow light of an HPS, LECs let you see plants in full color, which can help you see your plants and notice if something is going wrong. As long as you have 5 feet of height or more, a 315 LEC can be a good choice for new growers. 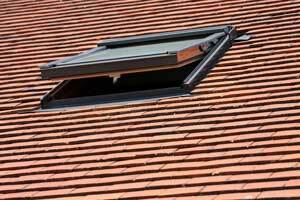 Just be aware that they do put out enough heat to raise the temperature of a small room by a few degrees. CFL grow lights are best if your grow space is very small (less than 4 feet tall) because their light doesn’t travel very far. CFLs can be kept just inches from your plants, which means that you don’t need nearly as much space for the grow lights as in a traditional setup. 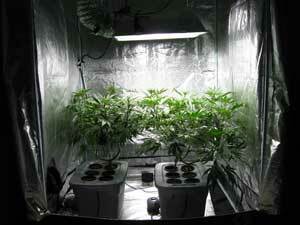 This allows growers to use CFLs in very small spaces such as a cupboard or bucket. 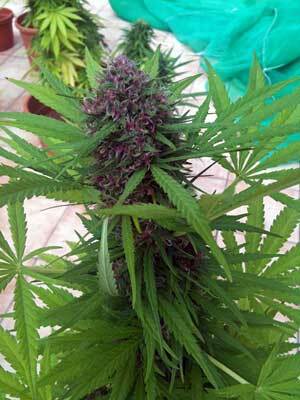 CFLs, when done right, also produce top-notch buds. I started growing with CFLs, and I was very happy with them at first. I learned how to grow using them, and they work great for growing cannabis on a small budget. But… I didn’t realize when I started how many CFLs I was going to need for my space and goals. I had a grow space that was tall enough for an MH/HPS, and wanted to harvest at least a few ounces. I ended up growing huge plants with dozens of CFLs which took up a surprising amount of electricity. I believe it may have been easier and more intuitive if I had started with a 150W HPS; the heat and electricity use would have been about the same, but it would have been easier and I likely would have produced better yields. On the flip side, I feel that growers learn a lot about light and how plants grow when using CFLs, because you end up spending so much time with your plants and adjusting the lights. And the quality of CFL-grown bud is great. So in the end I am happy I started with CFLs even if it wasn’t the most logical choice. And you can’t beat the low setup costs (though there are also very cheap MH/HPS grow lights these days that work perfectly). T5 grow lights are a type of fluorescent light that’s specifically made for growing seedlings and young plants. 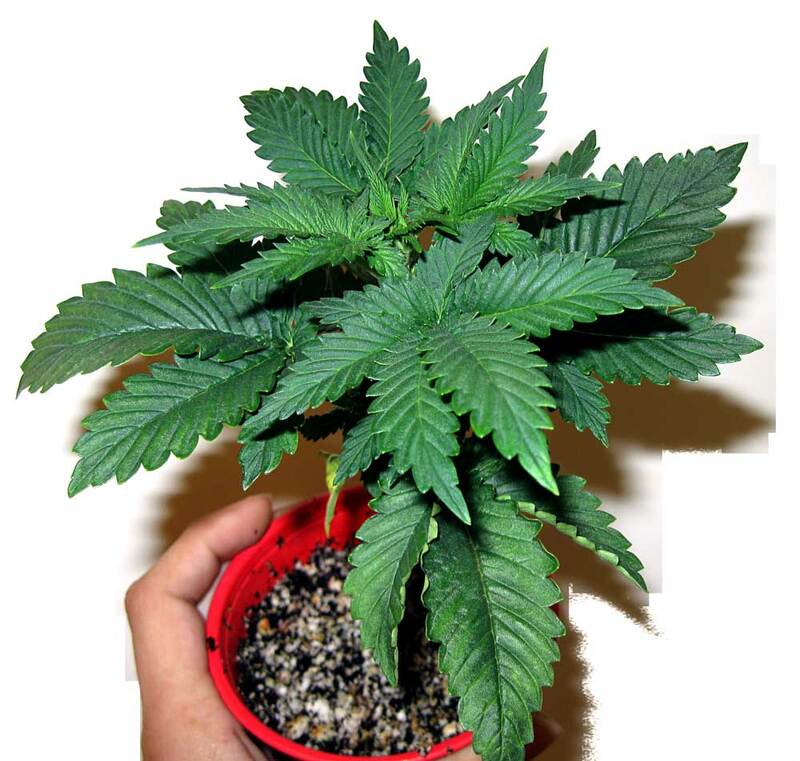 They can support plants up to about 24″ tall, which is just enough to grow a very short cannabis plant through to the flowering stage when you control your marijuana plant’s growth through the vegetative stage. The great thing about T5 grow lights is that they don’t get very hot, and they can usually be kept a few inches from the tops of the plants without much worry about burning your cannabis leaves or buds. This makes T5s great for short spaces as long as you have room to fit the light. Make sure to get a High Output (HO) T, as they’re the most powerful and efficient (don’t get lower-powered grow lights like the T8 or T12, they’re not bright enough for cannabis). LEDs come in all sizes to fit any grow space. The technology has been around for a while, but it is constantly improving. Lately, I’ve seen results with LEDs that actually give HPS grow lights (traditionally the highest yielding light) a run for the money as far as yields. But there are good and bad LED grow lights. They aren’t all made equal. That’s why I recommend that you only use LEDs if you’re willing to get a model that is made for growing a plant like cannabis. Some of the best models of LED grow lights come with a warranty, and give you the ability to contact the manufacturer directly with questions like how far way to keep plants from the lights. There are great LEDs out there, just don’t get tricked into buying a bad one! Some growers get away with not paying attention to the pH of their water. It’s the luck of the draw. 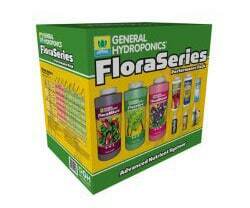 Yet for most growers, testing and adjusting the pH of the water causes plants to grow better (especially if you’re providing extra nutrients in the water). Proper pH is essential for cannabis plants to absorb certain nutrients through the roots. If the pH is too high or too low at the roots, it can cause the plant to start showing signs of nutrient deficiencies even if the nutrients are physically there. This is because the pH changes the chemical structure of certain nutrients, and the wrong structure can lock nutrients out from the plant. By making sure the root pH is in the optimum range, you will save yourself problems and help plants grow healthier and faster. Read the full tutorial on pH. Grow tents are not too expensive. They look relatively discreet (especially the smaller tents) and provide the tools to create a perfect environment for cannabis plants. Yet I see many growers trying to construct their own special grow box. If you’re doing it because it’s fun and you love building things, or need a custom setup, that’s great. But I see a lot of growers make their own grow box in an attempt to save money. Oftentimes, they’ll end up with problematic grows, and by the time they’ve fixed all the problems, they’ve spend as much as it would have cost for a professional grow tent anyway (or more!). Before you dismiss the idea of a grow tent, I encourage you to shop around. Once you grow in a tent, it’s hard to go back to anything else. Growers often refer to nutrients as “food” for plants. And it’s true that nutrients are essential to cannabis growth, but nutrients don’t directly power the growth of buds. Cannabis nutrients are more like a multivitamin than food. And just like a multivitamin, you don’t get extra health benefits by taking many at once – in fact it can make you very sick. Cannabis plants are the same way. They want just enough nutrients to thrive, but not enough to make them sick. I sometimes see a tendency for growers to try to push the limits as far as how much nutrients to give to their cannabis plants. It can seem like if you “feed” your plant with more nutrients, you’ll get better results. I know I did this. Yet I’ve found that I get the best growth, healthiest leaves, and biggest yields by giving cannabis relatively low levels of nutrients – just enough to prevent nutrient deficiencies, but not any more than that. Typically I follow nutrient schedules at half the recommended strength to start. If your plant looks healthy and is growing fast, don’t increase your levels of nutrients! Nutrients and supplements are a common cost-sink. Do you really need those fancy bottles, or could you use a more simple nutrient system that costs a lot less? 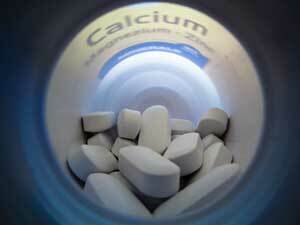 A lot of nutrients come with big claims, especially the expensive ones. But if you use too many nutrients or supplements at once (or mix the wrong ones together), it can unintentionally cause a lot of plant problems. Many nutrients are overpriced for the benefits you’ll get, especially nutrient systems that target cannabis growers. For first-time growers, you’ll often get better results for less money by sticking to a simple nutrient system from a trusted nutrient company like General Hydroponics or Fox Farm. These companies provide relatively inexpensive nutrients, but they work great for growing cannabis. If you do plan on adding supplements, try to use ones from the same company and are made to work together. But it’s important to understand that a base nutrient system (usually 2 or 3 bottles) almost always has all the nutrients your plants need to get to harvest. Therefore, one of the problems with bagseed is most growers have no idea about where it came from or how the plant will grow. To make things tougher, a seedling does not always produce similar buds (or grow like) the mother plant it came from. If you want to ensure your plants grow a certain way, or that your buds smell/look/taste a certain way, or have a high enough potency, don’t leave genetics up to chance! Choose a stabilized strain from a trusted breeder, and you’ll have the option to choose exactly what you want to grow. A lot of first-time growers try to find a way around venting out extra heat from the grow space. You can avoid this if you have a very small grow lights such as a 150W HPS, but once you start getting into the 400W territory, you simply can’t get away without venting. 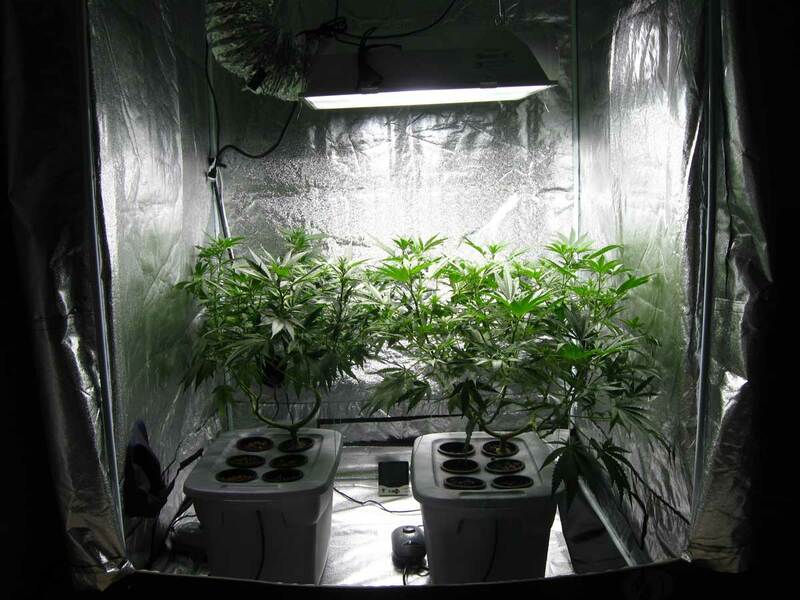 It’s tempting to create a completely enclosed grow space, with no air going in or out. It’s easy and cheap to stick some plants in a closet or box. A closed door or enclosed space prevents the escape of smells, lights and other signs of growing. Might as well just skip the whole venting thing, right? That’s pretty much what I did in the beginning. In my first grows I put my grow lights and plants in a small, closed closet, with a few fans blowing over the plants to move the air. I figured things would work themselves out. It didn’t. Growing in a completely enclosed space with several hundred watts of light and no venting caused a host of problems. Humidity Problems – If there’s no venting, humidity can build up in the grow space because plant leaves give off water vapor all the time. Small plants have fewer leaves and don’t make much water vapor, but big plants can give off a lot of water vapor as they’re drinking more, and this raises the humidity of a grow space when the air isn’t vented out and replaced with fresh air. Buds Don’t Fatten Properly – In a high-heat environment, it’s possible for bud growth (and plant growth) to temporarily stop altogether. Possibly Lost Potency, Taste & Smell – Too high temperatures can “burn off” potency, smell and taste from buds – don’t let cannabis plants sit in high temperatures during the flowering stage if you want to harvest the best buds possible! Root problems – Too-hot temperatures reduce the amount of dissolved oxygen in water, which can prevent roots from getting enough oxygen. Too much heat makes roots more likely to suffer from several different types of root problems, including root rot. Most of these problems can be prevented by setting up a simple exhaust system to vent the heat and humid air out. Plus this gives you the perfect place to place a carbon scrubber which takes smells out of the air, so you don’t have any odors outside the tent. You don’t have to do a fancy exhaust for a small grow. Sometimes small changes are all you need. 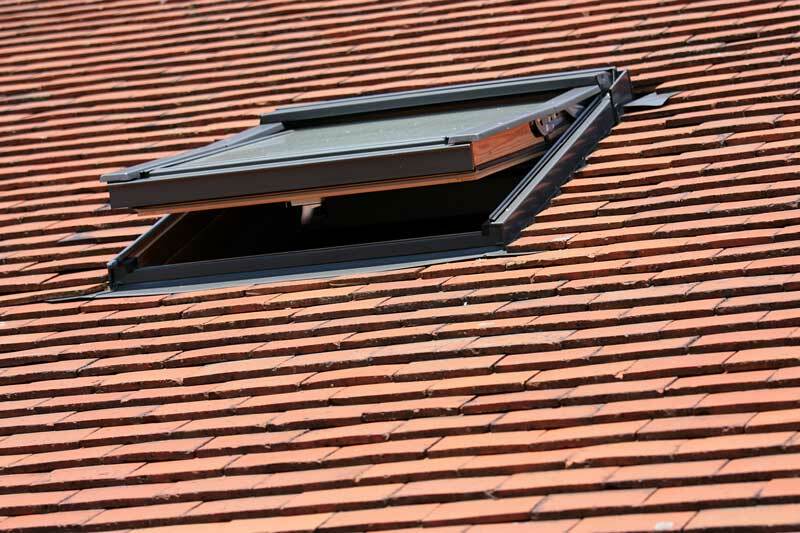 For example, a window fan pointing out is obviously less effective than using ducting (which keeps all the hot, humid air together until it’s vented out the window), but even a window fan can make a huge difference in the temperature of a room by pushing out heat and drawing in fresh air from other parts of the house. 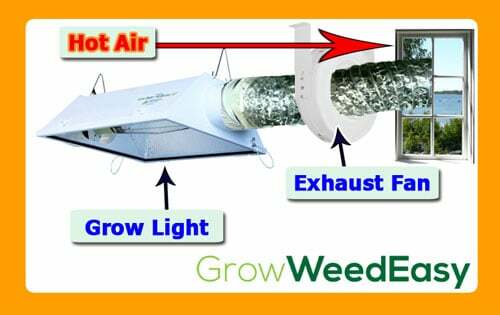 So vent out the extra heat and humidity, add a few fans above and below the canopy for great air circulation, and you’ve got yourself a majorly improved grow space that will yield far better results than the exact same space that used to be enclosed. Some growers try to supply with extra CO2 because, when done right, it allows cannabis plants to withstand higher temperatures and still be okay. It also requires growers to avoid venting out the grow space during the times they’re supplementing with extra CO2 (otherwise all the CO2 will also be vented outside). But a lot of growers aren’t supplementing their grow rooms with CO2 in a way that actually helps the plants. If you’ve got powerful grow lights and you’re interested in sealing up your grow room to use CO2, learn about the right way to use CO2 here. Setting up an exhaust is easier than you might think! 10.) Wait until the right time to harvest! I know, I know. You’ve been waiting soooo long for harvest day to come. It’s common for first-time growers to harvest their buds too early. But waiting until buds are actually ready for harvest instead of harvesting early will not only give you more potent buds, it will give you the ability to partially choose some of the effects of the buds (such as whether bud effects are more “up” or “down”). Waiting to harvest at the right time will also reward you with bigger yields. If you’ve gone through all the trouble of growing cannabis plants, please don’t lose patience right around harvest time! If you truly appreciate cannabis, the feeling of harvesting your first buds is probably even cooler than you imagine! Don’t do spur-of-the-moment experiments on your plants. At least Google your idea for 5 minutes first! If you’re ready to grow, just start growing! How long until I harvest my buds?